Old newspapers come in handy for many different uses around the house, from birdcage liners to shipping cushioning and even a little fish cooking. But for backyard rocket scientists like Markus Bindhammer, they're more suitable as an ingredient for rocket propellant. For this rocket fuel, the old newspaper is actually the secondary fuel. The primary is polyvinyl acetate, basically just white wood glue, which also acts as the binder. The oxidizer is KClO3, aka potassium chlorate. 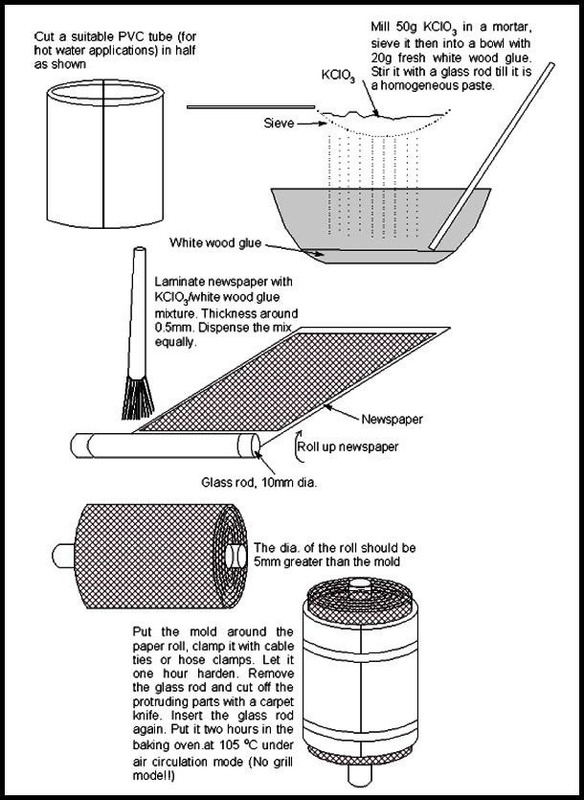 The glue is combined with the potassium chlorate, then spread onto the newspaper sheets. 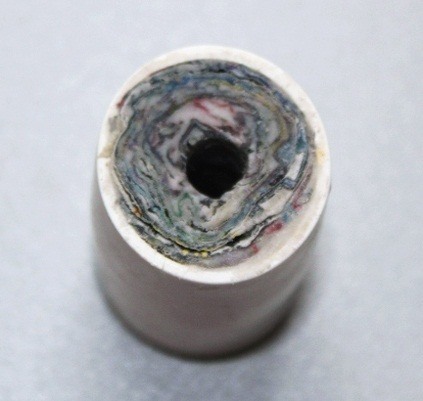 Then it's all rolled up around a glass rod and stuffed inside a mold of PVC. Once clamped together, the rod is removed and it's baked for a couple hours. As you can probably tell from the test-firing video above, there's no real casing or nozzle, so there's no measure of this rocket engine's thrust power. But it still looks pretty cool burning as is, and seems more akin to this newspaper smoke bomb. For the whole process, check out Bindhammer's simple instructions for his solid rocket propellant below. If you're interested in some other potassium chlorate pyromania, you can always use the more dangerous molten version to cremate some cockroaches and gummy bears. 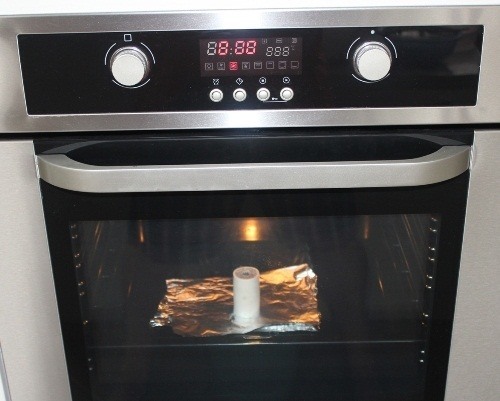 No potassium chlorate at home? Make some. If you want some rocket fuel that's a little weaker, try out some potassium nitrate. It makes for some great smoke mix and smoke bombs, too. how to start the rocket fuel?